As I remember, the original small-ads were very crude in their appearance, so the rough nature you see in the ones I've done do match that. This is helped by doing them with a simple 2B pencil, which gives them that rough "letterpress" feel that the original adverts once had. So it's fortunate that I didn't choose a fineliner, because I don't think they would have looked as good. 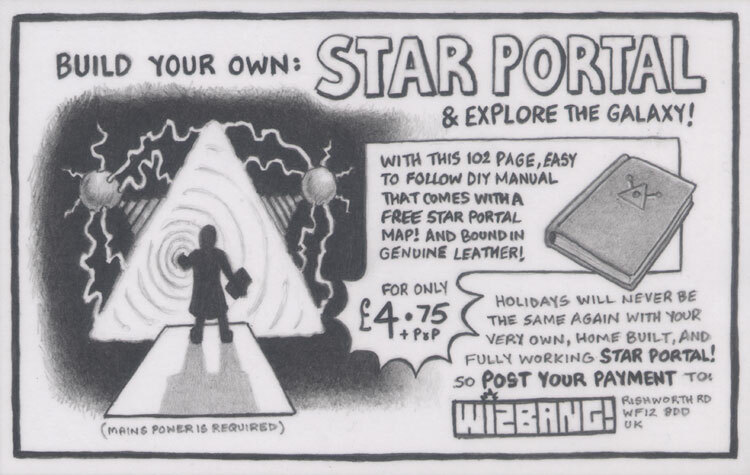 Artwork labels: advert, art, book, comic book, DIY, mail order, manual, pencil, postcard, retro, skav, small ads, star portal, stargate, symbol, vintage, wizbang!